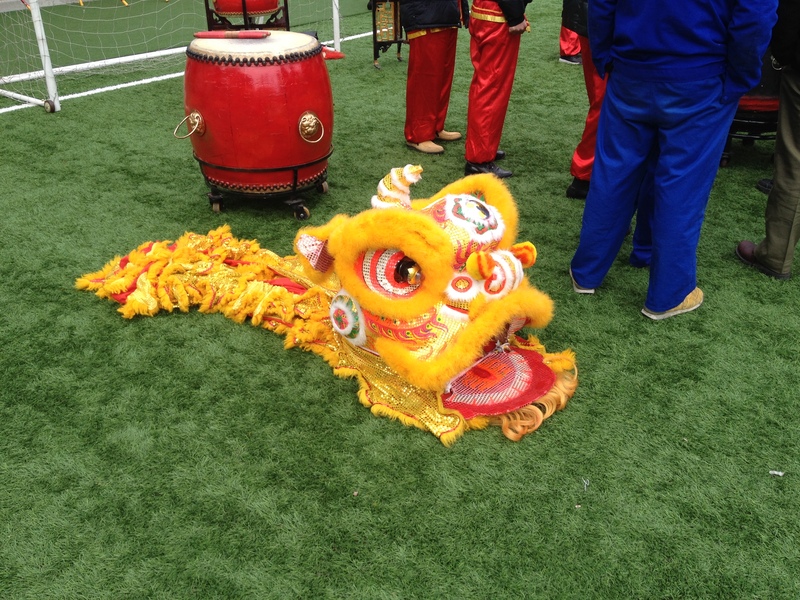 Chinese New Year Celebrations have started! Which means for us NO SCHOOL! Recently Shanghai has been having some nice weather and pollution, so Jason and I decided to take advantage of it by going to brunch and walking around the French Concession and Bund last weekend. Our brunch at La Cocina was delicious. We weren’t planning on going to La Cocina but it was a good choice! 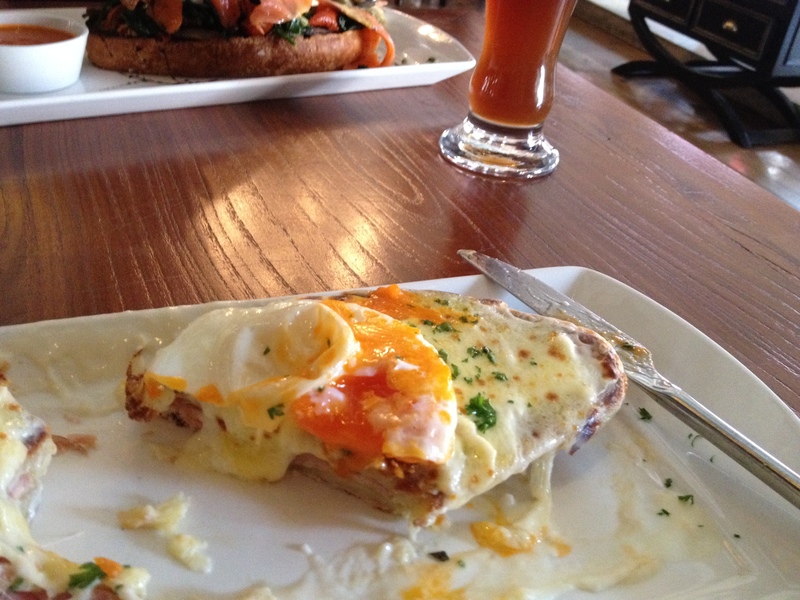 Jason ordered the Eggs Benedict which was very rich and savory! Defiantly a unique take on Benedict but still delicious! I ordered the Croque Madam which came with a fresh salad. 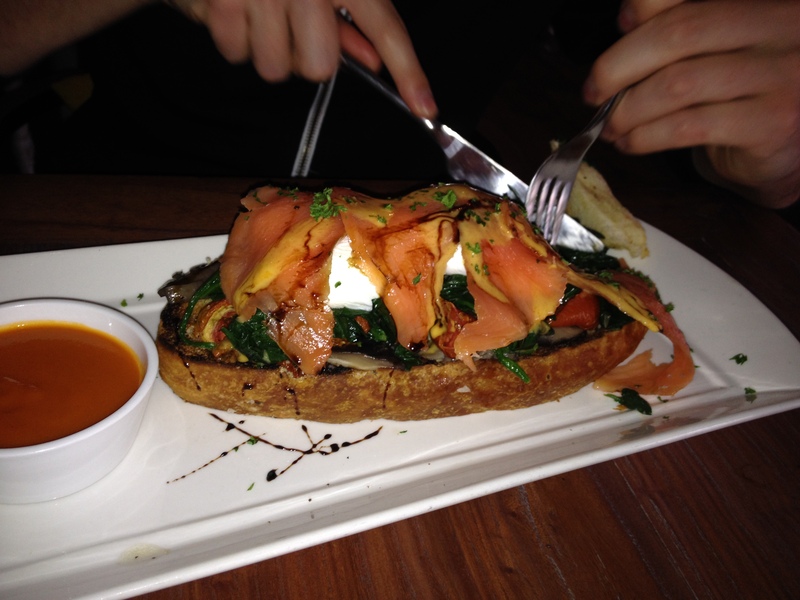 The bread was amazing and the taste was rich, toasty and CHEESY! After brunch we decided to stay in the French Concession area and search for some bike products for Jason! After sucessfully finding bike grease, we decided to continue our Sunday stroll down to the bund. We jumped on line 9 and took it all the way to the river! 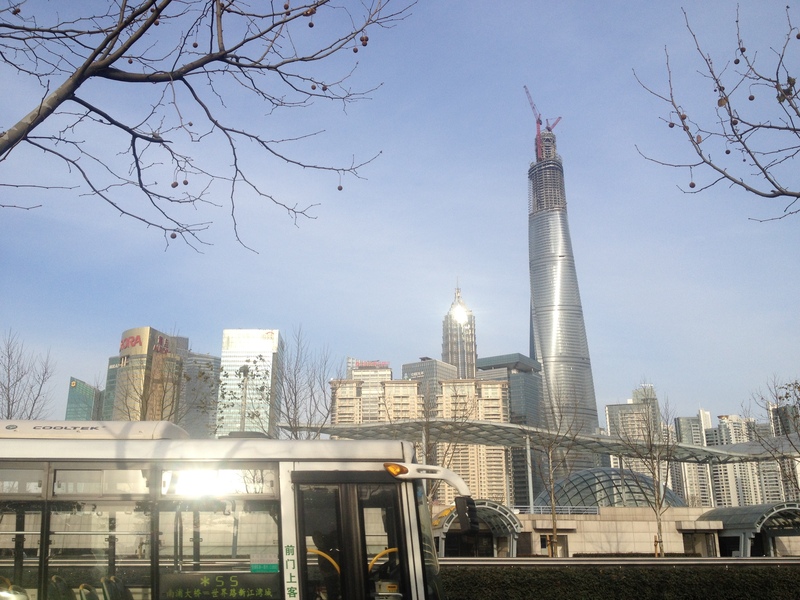 Since the pollution was so low (AQI of 75) the views of the skyline were amazing. The rest of our week was pretty easy since we only had 3 days of school! 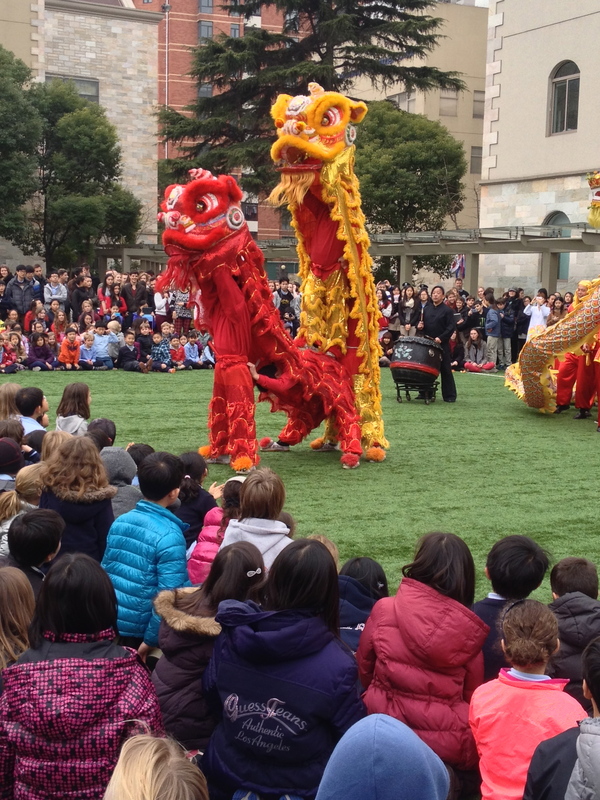 On Wednesdays we had a full school Chinese New Year Celebration. 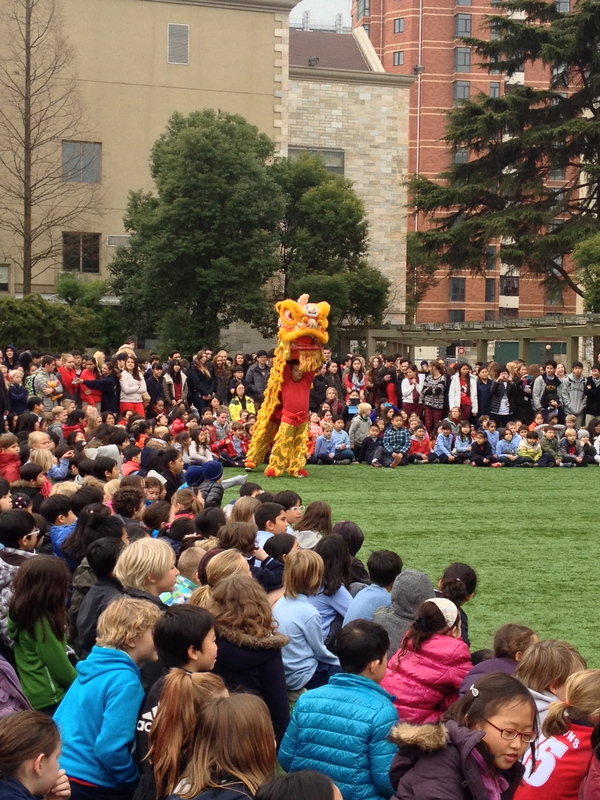 The lower school started with an assembly that included traditional Chinese music and acrobats! 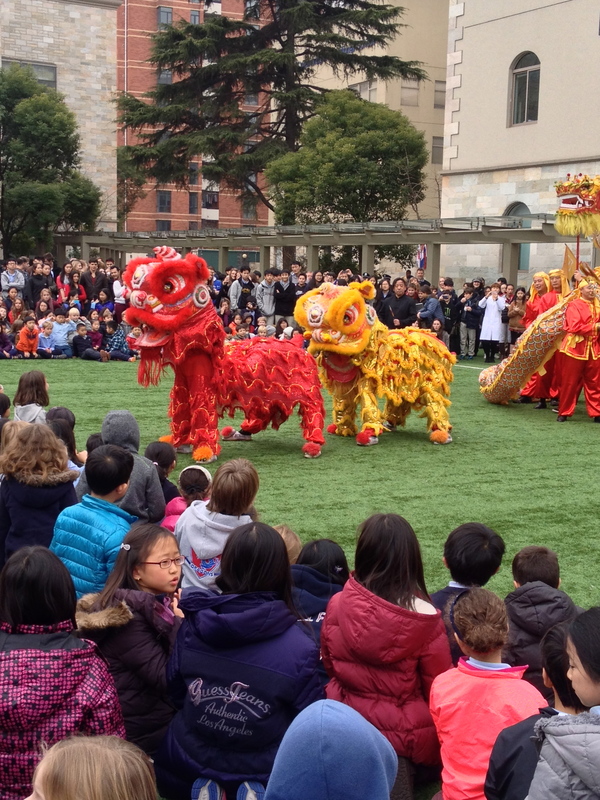 Then the entire school gathered on the field to see the Lion and Dragon dance. 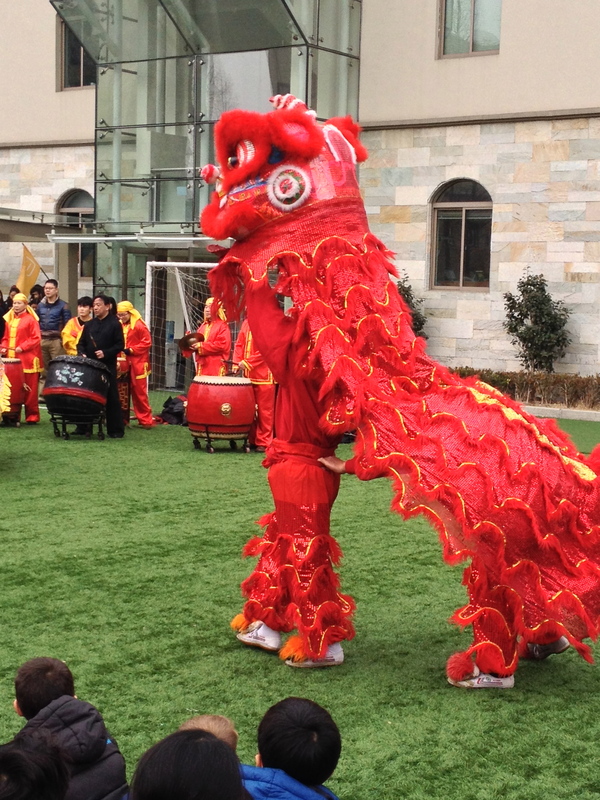 It was pretty amazing to see the dance and hear the drums. Definitely something unique! I’ve a mission that I am just now operating on, and I’ve been on the look out for such information. Hello, I desire to subscribe for this website to take hottest updates, so where can i do it please assist.